It is my great privilege to have been encouraged to design and hold a week long embedded course program through Pennsylvania State University. My thanks to the office of the Penn State Office of the Vice Provost for Global Prgrams, Michael Adewumi and Kate Manni, Assistant Director for Embedded Programs, for making this possible. Thanks as well to Scott Gartner, the Director, Penn State School of International Affairs, and special thanks to Claudia Prieto (SIA Academic Adviser and Student Services Coordinator) and Rachel Arnold (Assistant to the Financial Officer, Penn State Law/SIA), without whose help and encouragement this program would not have happened. Great thanks as well to our hosts in Cuba, the Centro de Estudios Martianos that went out of its way to enrich the course and the experiences of our students. 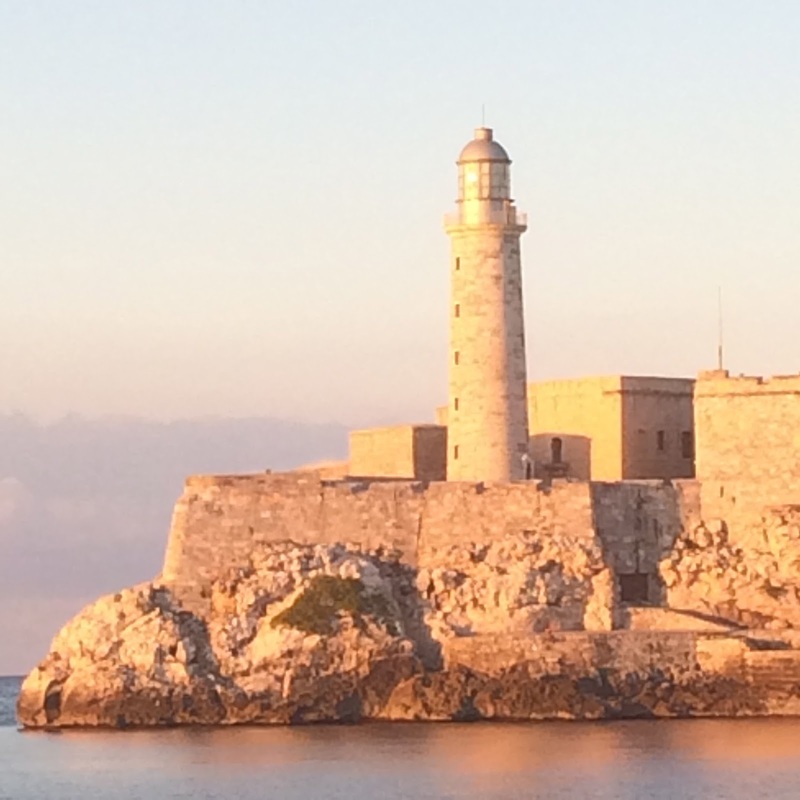 This is the next in a series of posts that will develop reflections both on the teaching of embedded programs in Cuba, generally, but more specifically as a way of documenting the way my students and see see Cuba today. For many years Cuba and its political order was said to be on the "cusp of change" (e.g., here). Since the start of normalization of relations with the United States, it is quite evident that Cuba has now moved beyond the "cusp" and into the realities of integration within a global system to which it has had both privileged access and been excluded over the last half century. The re-adjustments in both respects will mark the trajectory of Cuban life for the next generation (compare here, with here). This post considers our activities on Day 1--Viñales. The program started with an all day visit to Viñales Valley, a UNESCO World Heritage Site and a great introduction to Cuba outside of Havana. The trip to Viñales was as interesting as the Valley itself. It gave us an opportunity to check on the state of Cuban infrastructure, especially its highway system, with a sneak peak at its transport structures. There were no surprises. The Autopista Nacional represents the partially realized aspirations of the state. The highway was envisioned to connect the Island, from Pinar del Rio to Santiago (and here). That vision has yet to be fully realized. The lack of cars and other transport has been both a blessing and a curse. The curse is obvious--the lack of use serves as a b¡nice gauge of the level of economic activity across the Island, and more importantly of the integration of that activity throughout the nation. The blessing is a consequences of the curse--little use has significantly reduced the cost of maintenance. Even after decades the roadway still works reasonably well. But increased use--especially of transport of goods and more importantly of tourists, has put new stress on the roadway. Our trip to Viñales was marked by a careful movement of the bus from lane to lane to avoid sections of the roadway that might have damaged the vehicle, and much more frequent slow downs to the same ends. What was meant to be a fast trip was thus lengthened by the condition of the roadway, attention to which is as necessary to the economic wellbeing of Cuba, as it is in the United States, where the conditions of our own roadways and bridges suggest that the United States and Cuba share a similar set of economic constraints. The secondary roads provided a view on a different sort of problem, one much more evident outside of Havana--the problem of the lack of transport. Though the country is much recovered front he Special Period, some of its effects continue to linger int he countryside. The lack of public transport, especially in rural areas has resulted in improvisation that while ingenious also tends to drag the economy. Narrow two lane roads are made more difficult to use by the necessary use of the same roads by horse drawn transport. Hitchhiking (usually for a fee, the fee structures of which remain both unofficial and quite strict) serves as a useful back up but significantly taxes the ability of regularizing production and the work of people. That generally means that family life must suffer as it must be reduced by the time necessary for uncertain and in any case slow transport. This is a problem in Cuba, whose infrastructure beyond the tourist sector roadways are even worse, and unlikely to get better soon (e.g., here). Viñales itself has prospered for a number of reasons. Over the last 20 years it has become an increasingly noticed site for tourism. Tourism has boomed in the last 5 years or so as travel to Cuba has become more fashionable and feasible. It is breathtakingly beautiful but also safe. 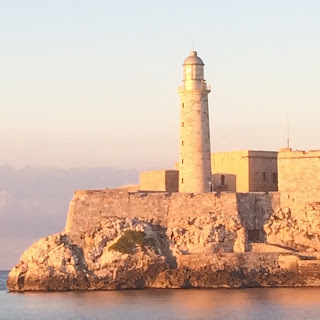 Safe in the sense that it provides a remote location of natural beauty away from Havana that provides a nicely self contained space for tourist interaction with local people and also a means of spreading tourist sector wealth well beyond the Capital and other popular urban areas. To that extent it represents sound planning by the state. That is especially underlined where the state means to manage its tourist sector carefully in line with its paramount obligation to preserve its system from disruption--either intentional or as a consequence of the scope of interaction with foreigners. It is likely that this model will be replicated all across Cuba. A nice way to create safe spaces for tourism that makes it possible for the state to better manage its population in the way that it determines to be in its best interests. And, indeed, once one sees the pattern, it pops up all over the Island. The way the state manages the geographies of tourist interactions suggests techniques for containing tourism within certain zones, spread increasingly all over the Island, and within Havana. This is not a criticism so much as an observation of choices. In a state that remains wary of foreigners, especially those whose visit from states that have only recently been viewed as adversaries, it may well make sense to figure out ways to both invite tourism, bit also to manage its insertion within the Island. The creation of tourist “safe spaces” where interactions are anticipated and can be planned around within rural areas and outside the Havana metropolis is one response. But more interesting, as we will see in later posts, is the way this containment and management also works within Havana itself. To be clear, this is not the old Soviet style containment and surveillance approach—people are still free to roam to a large extent. But the managerialism is intended to direct most people to certain areas where certain activities are focused that provide the most efficient means of combining tourist desires and control of the bulk of the interactions with foreigners within well delineated spaces.